NEW YORK CITY, October 7, 2015 – On May 13-14, 2016, NYC Bike Expo returns to famous 69th Regiment Armory on Lexington Avenue at 26th Street in midtown Manhattan. The 6th annual road cycling show will attract more than 10,000 visitors who are avid road cyclists, endurance athletes and cycling fans. Over 70 exhibitors will showcase products such as bike components, bike brands, custom cycling apparel, food & wine, and more. The expo is among the largest consumer road cycling expos in the world. New York City Bike Expo serves as mandatory in-person packet pick up for the 5000 riders competing at Campagnolo Gran Fondo New York. The expo also attracts about 7000 non-GFNY participants and is open to the public and free admission. In the past, the Armory was host to events such as Victoria Secret Fashion Shows, NYC Coffee Show and NYC Craft Beer Festival. Until 1960 it was NY Knicks’ home turf. 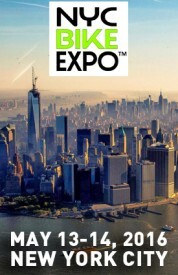 Exhibitors are invited contact Miriam at miriam@gfny.com to reserve booth space. The 6th annual NYC Bike Expo on May 13-14, 2016 will host the mandatory packet pickup for all 5,000 riders of Campagnolo Gran Fondo New York. GFNY WORLD now features events in Italy, Germany, Mexico-Cozumel, Argentina, Colombia and at Mont Ventoux/France. Riders there have a chance to qualify for the elite racer corral at the GFNY Championship in NYC by placing in the top 10% of their age group.